Have you ever wondered how some folks, who call themselves “Christians,” can do Satan’s bidding all week long? Lie, cheat, fornicate, steal, etc., but attend church on Sunday morning in their suits and nice dresses, never being convicted of sin, never mourning over their sin, and asking God for forgiveness? There no repentance or hatred of their sin, no change in their lives, and no TURNING AWAY. They live like the Devil most of the week and think two hours of religiosity will impress God. These people are unfortunately deceived and every day becoming two fold sons of hell. IC’s are becoming ever more apostate today. They preach a watered down “gospel” that does not convict people of their sins, strokes their emotions, is “seeker friendly,” and promotes teachings that have been affected with postmodern, denominational poison. These institutions often tell people, that they should not judge the character of other Christians, and that is only God’s job to judge. This and other popular fallacies make up what I and others like to call, Churchianity. Churchianity is defined as: a usually excessive or narrowly sectarian attachment to the practices and interests of a particular church. I would like to amplify this definition based on what we see today transpiring in IC’s. Churchianity has come to include a collection of religious traditions and doctrines (which are mostly erroneous) taught by many Christian churches, many unawares, but some fully aware of the deception those teachings hold. 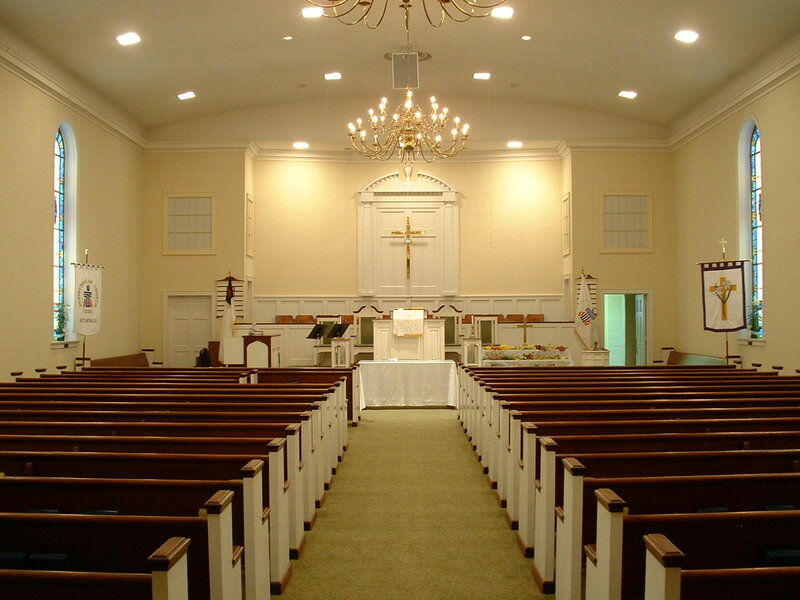 It is characteristic of church members who gather to worship in these congregations to have an excessive love of a particular church institution, denomination, or practice(s) which a particular church(es) promote. They grow fond of their fellowships, and will defend those institutions, often irrationally, and emotionally, even when it is proven that they are in grave biblical error. Some who are enslaved to the churchianity mindset, ignore what has been established in the word of God, in favor of what an IC leader might say. Often these IC’s have hierarchical structures which are based on secular models, where there is one person who is considered the “CEO” and in charge of the spiritual growth of the members in the congregation. It is the type of “Pyramid Scheme” Jesus explicitly forbids in the gospels. Often members of these congregations see their leaders as being “above them” and they are to be “subject” to them in a fashion which dictates total obedience concerning many areas of their personal and spiritual lives. Leaders of these IC’s often see themselves as the “spiritual authority” over Jesus’ flock, and have the mentality that they are in a different spiritual class than the flock they are leading. This mentality is often reflected in the treatment of those in “higher” leadership positions vs. those who are “laymen” who are viewed as having less spiritual gifts, or less to offer the body of Christ. Women will listen to the dictates of leadership in a church instead of godly counsel of their husbands, causing another man to usurp the authority of her husband, leading to the breakdown of the family structure. Women who are single in these congregations, (many who have grown up without a father figure) desire the coverings (albeit false) that these leaderships offer. These coverings stunt their growth, and often take advantage of them financially, spiritually, and some even physically. Men find themselves submitting to a covering other than Christ, and allowing their heads to be dishonored, and their wives and families to be taken captive by other men. Men (who aren’t homosexual) do not do well in these overly emotional environments, and often you will find the attendance of men in Christian churches in America today significantly lower than those of the women. Children grow up in unstable environments, and because of the disorder they see, they continue in destructive patterns in dysfunctional environments. Eventually assimilate into the apostate church system and accept its rules and traditions as what a biblical church should look like. Reject the system completely and come out by the urging of the Holy Spirit and find other means of fellowship. Make no mistake about it: many main-line churches today are showing signs of apostasy for they have turned from the word of God and sound doctrine to ear tickling sermons, feel good pop psychology, and charismatic entertainment. There are many false shepherds, teachers, prophets, prophetesses, bishops, pastors “reverends” and apostles who masquerade as angels of light, who are nothing but ravenous wolves seeking whom they may devour for filthy lucre’s sake. These people would love nothing more than to keep Christians ignorant of the bible, and promote their leaven filled, FALSE GOSPEL to false converts who just want to be entertained. This is not to discount the BIBLICAL role of pastors, elders, deacons etc. because in their biblical context, these are roles which are essential to the functioning of the church, in actuality these roles are demonstrative in nature, and do not “lord it over” individuals in the way we see gentile authority today. A servant leader in God’s church will meet the qualifications as the bible outlines, and act in kind to his role. As a result he will gain the respect of everyone around him in respect to the preaching of the gospel, guidance, and counseling. These men who labor as servant leaders in the church aught to be given double honor for doing so, but these men are not to be held in high esteem over OUR LORD and his WORD. Unfortunately, many that are enslaved to the churchianity mindset hold to the un-biblical notion that these men are to be idolized, and are the only ones who hear from God on their behalf. This is just the SURFACE of the churchianity mindset and structure. This mindset is deeply embedded into the minds of churchgoers because it is echoed weekly during services. It is a culture that is hard to shake. Will you be willing to make a distinction between a pure local assembly and “institutionalized church please? I am a part of a local fellowship that meets on Sundays, and it stands in truth (we don’t even take up an offering). Unless you clarify, people are going to think that you are against all local assemblies. Thanks. There are many local fellowships which honor God, and I know that because I am part of one. This blog is not to trash all local assemblies, it is to bring to the forefront many things that need to be spoken of that aren’t so pure in the institutional church. Thanks for dropping by. Lin, your experience is a lot like many others who are waking up to the truth concerning many of the places they worship. Ironically I grew more as a Christian not being part of any of these institutions. Not saying I never grew at all being part of an IC, but it is amazing what God shows you when you are interested in doing HIS WILL instead of the will of an IC.